If they are providing clean power and sufficient Amps then I doubt you'll notice a difference. Try it and see. I still have to check if the Jitterbugs are necessary in the Pi - but seeing as the Pi processor is used in the conversion of network data packets to I2S stream then the filtering & smoothing effect of the J-bug on the Pi circuitry may well have an impact on improving audio quality. Has anyone else bought one of these yet? 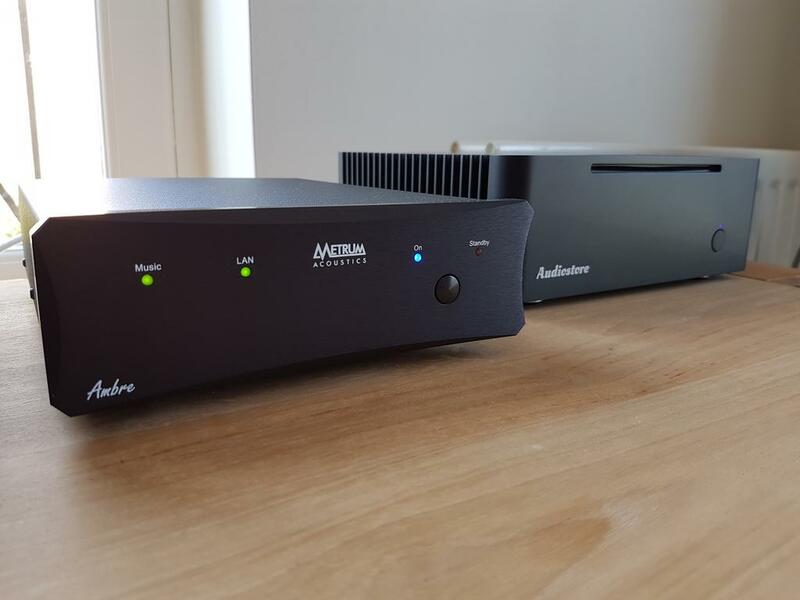 I recently bought a new Roon End Point, the Metrum Acoustics Ambre. It's based upon a Pi, with additional boards containing twin clocks and a toroidal power supply. It outputs to a variety of common formats, as well as I2S. An additional I2S module can be bought which replaces the USB board in any Metrum DAC. I was previously using the accomplished Allo DigiOne HAT in a Pi 2B, fed by a Tomanek LPSU. The Ambre presents a more substantial 3D image, with greater detail and vividness compared to the Digi One, but it's not a night and day improvement. The Allo DigiOne is a superb performer and I recommend it without hesitation. If you wish to take the next step and have £1000 to invest, then the Ambre raises the game a notch. Technology obviously changes all the time and tomorrow may see the release of a new product that bests it, but the Ambre appears to be the pinnacle of Pi based Roon End Point goodness at the moment. That's nice George. I'll be sticking with the Pi/DigiOne for now. 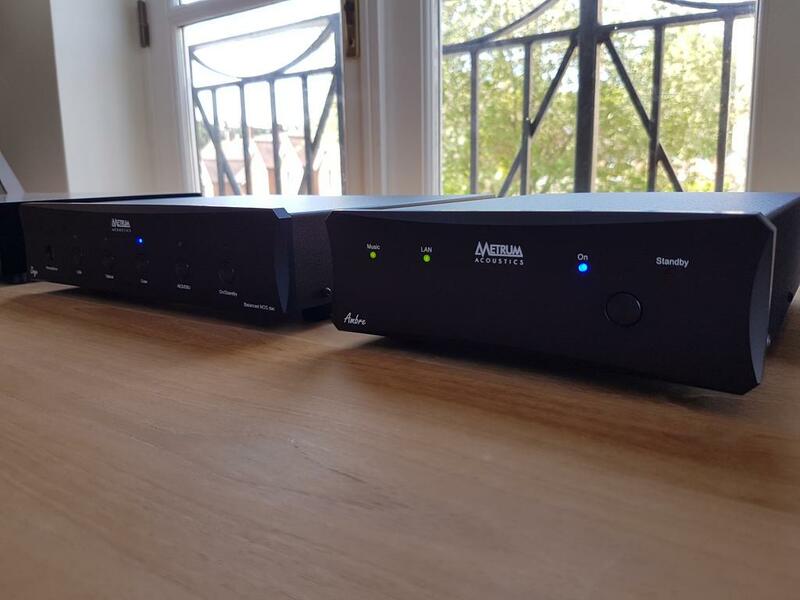 This thread is an enjoyable read, seems the Pi is one of the most interesting developments in audio at the moment and I might have to take the plunge. 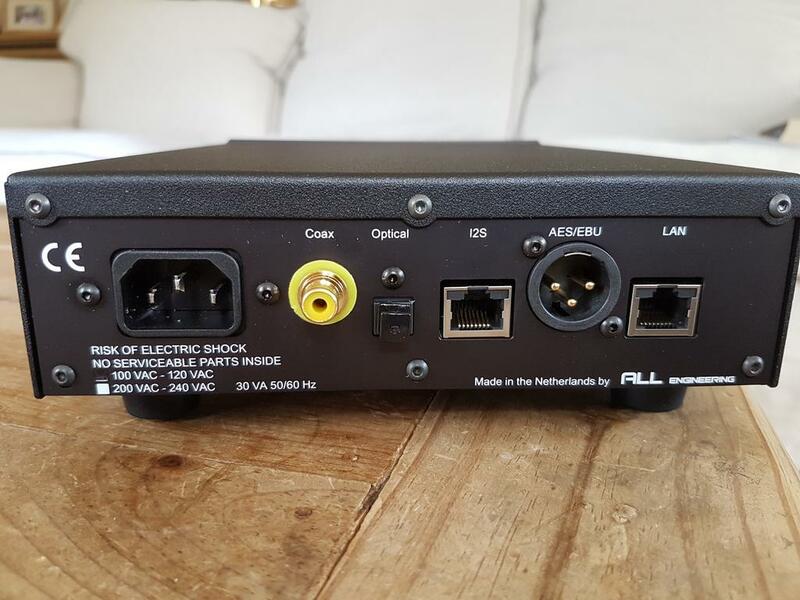 I am a novice but am considering the Allo Digione player based on some good reviews into my dac but how plug and play is this stuff and what storage options are best to access the music? I am guessing you can either attach to existing laptop or (powered?) SSD/HDD drive or NAS, but is a USB stick a viable option? I am guessing it is not as simple as just attaching a drive and some Linux knowledge might be required? Sorry, lots of questions but I am keen to learn. If all else fails, number one son is good at this sort of thing! It is worth that little bit of effort - and you get a serious streaming device that is easy to use. Pi's attach to your home network both wired (better) or with WiFi. NAS storage is ideal, I use a WD MyCloud HDD. But USB drives can also be attached as a Pi has 4 USB sockets. Check out the Volumio OS which is very straightforward in setup and use. No Linux knowledge needed. Can be controlled via PC, tablet or phone. Any problems just post here on the forum and someone will help. Then sit back and enjoy the music. Thanks Fretless, that's helpful, will do some more investigation. I will probably come back on this one! Plenty of instructions around to get a Pi set up with some sort of board. Basic assembly is pretty straightforward - if you can do lego, you can to this. Getting the software set up requires some learning but again plenty of instructions around for that. Then getting whatever software you choose working take another bit of instruction following. I have an allo boss (latest version) on my pi, I bought the dedicated psu also as recommended. This is running volumio and running flac files from my nas. It’s brilliant and the detail is fantastic over any other I’ve heard. £90 all in, worth every penny! I’ll be running this with my NVA when I purchase it.